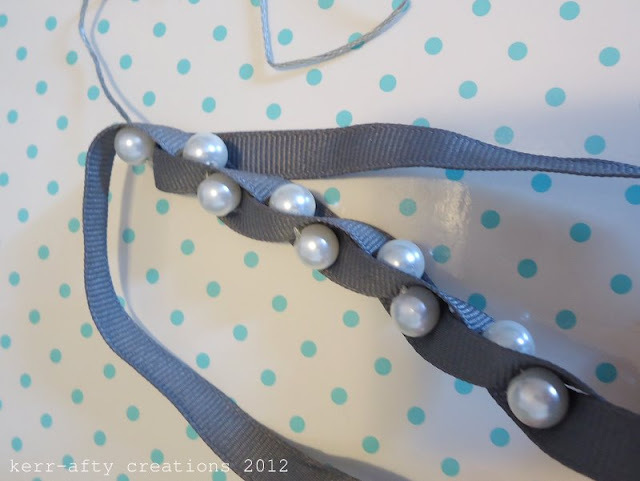 Remember this pearl and ribbon necklace? ... 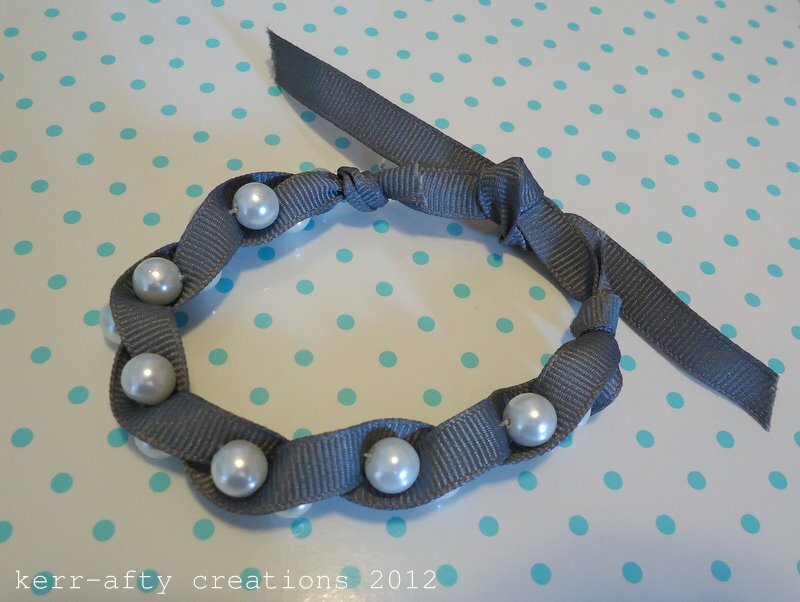 I told you guy that I found the tutorial to make one at The Crafty Blog Stalker. ... so I thought I would do an explanatory tutorial to add to the original. one - knot your ribbon pieces together a few inches down (I trimmed down one) and stick your needle through the knot making sure the end of your thread has a knot on it. two - put on first bead. three - put needle through one ribbon as shown. four - add another bead. five - put needle through the other ribbon as shown. six - at this point this is what you should have. seven - after step six twist your top ribbon slightly as shown. 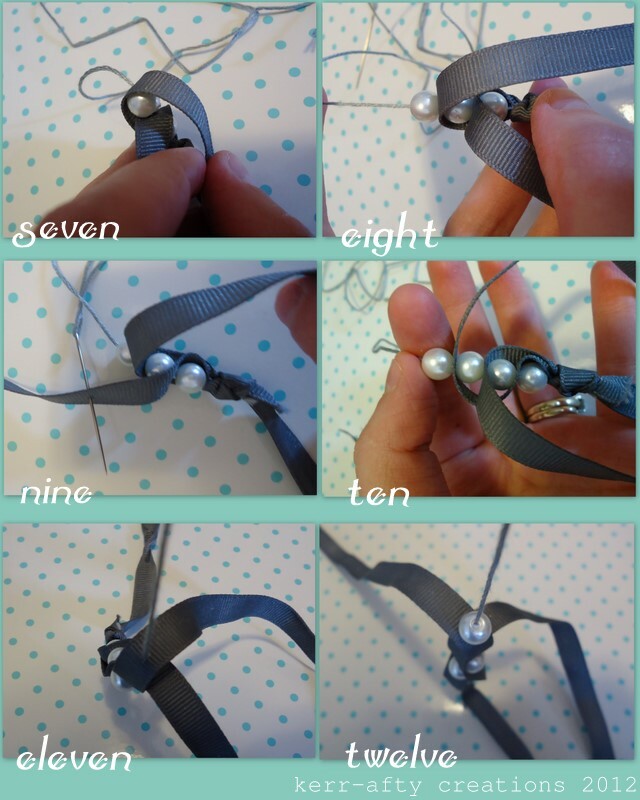 eight - add another bead. nine - put your needle through the first thread, high enough up that it will sit on top of the last bead (this is kind of a guessing game as you go along). ten - add another bead. eleven - take the bottom ribbon and repeat step nine, your ribbon should always look like this before putting on another bead. 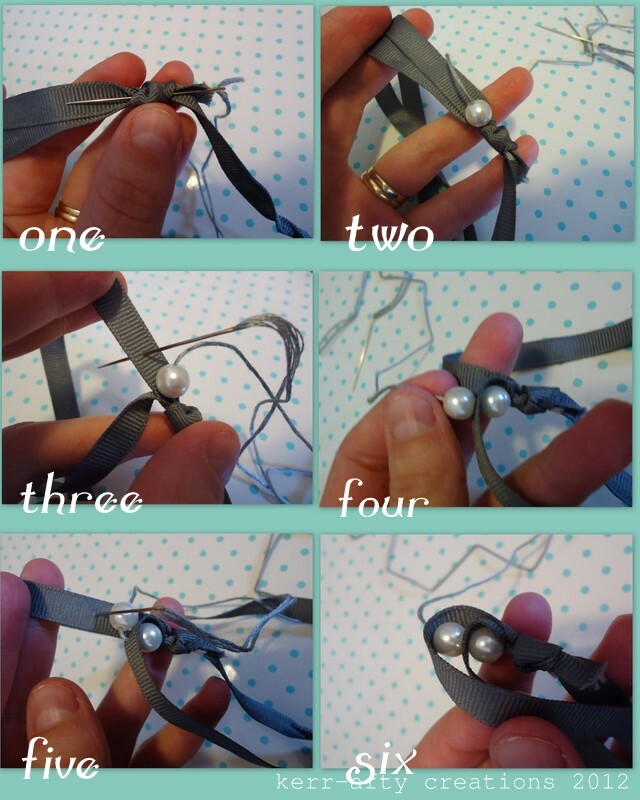 twleve - add another bead. Repeat steps nine and ten alternating ribbons as you go until you reach your desired length. Hopefully that was helpful, if you have any questions feel free to ask!